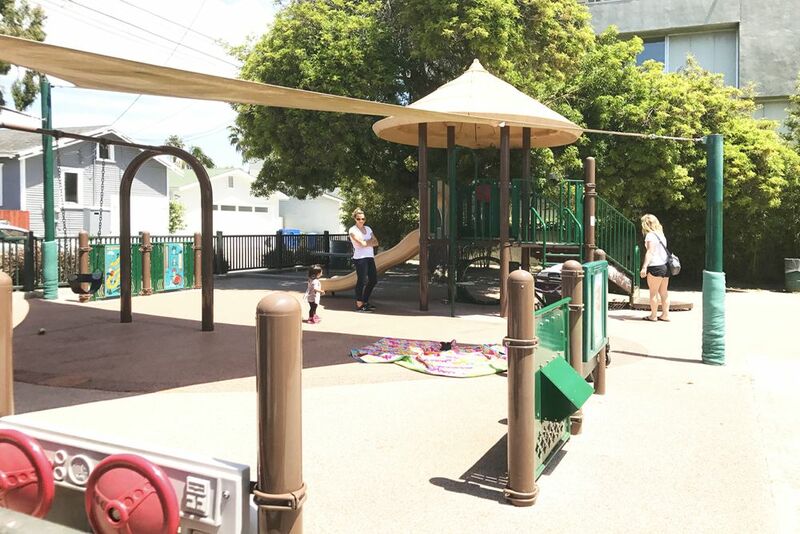 Originally developed in 1906, Venice of America was designed to replicate Venice, Italy. Today there are only 6 canals remaining. 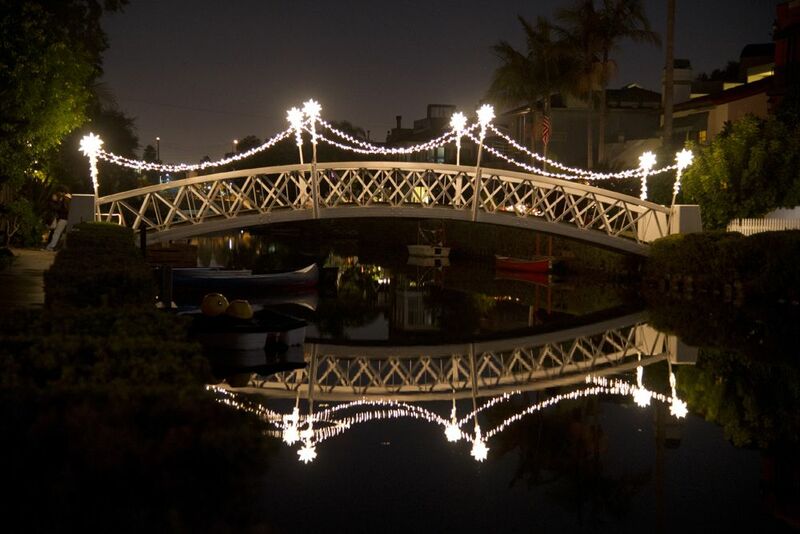 The Venice Canals are designated a state Historic Site. Fronting the Canals are 300+ architecturally unique homes. The Canals have a European ambiance, connected by walk bridges. Canoes, kayaks and rowboats line the banks. 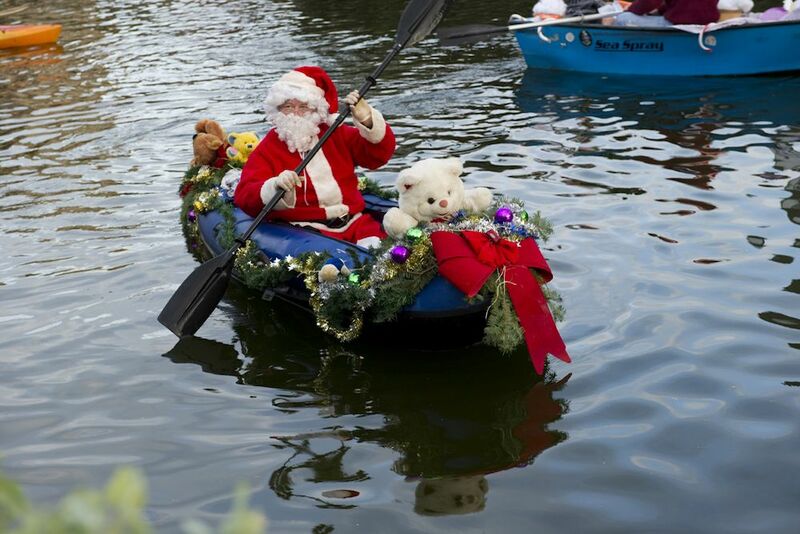 Holiday boating events are scheduled annually. 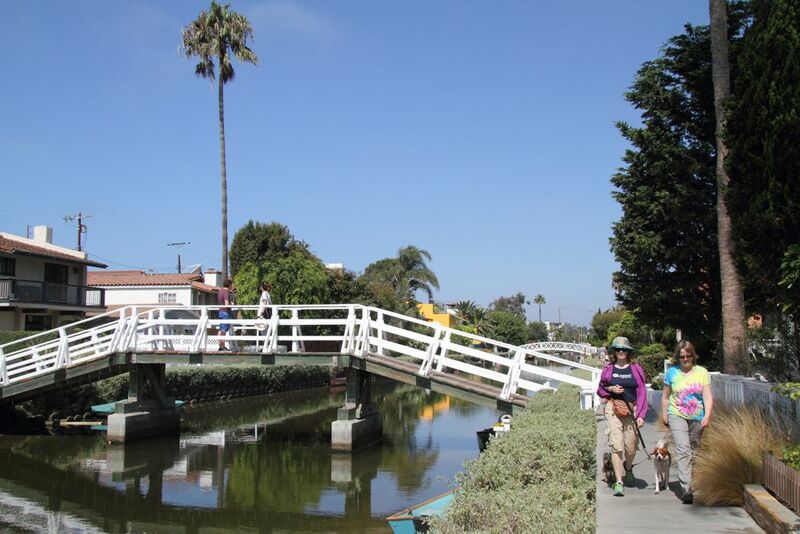 Traffic-free bridges and walkways are a great place for a leisurely stroll. 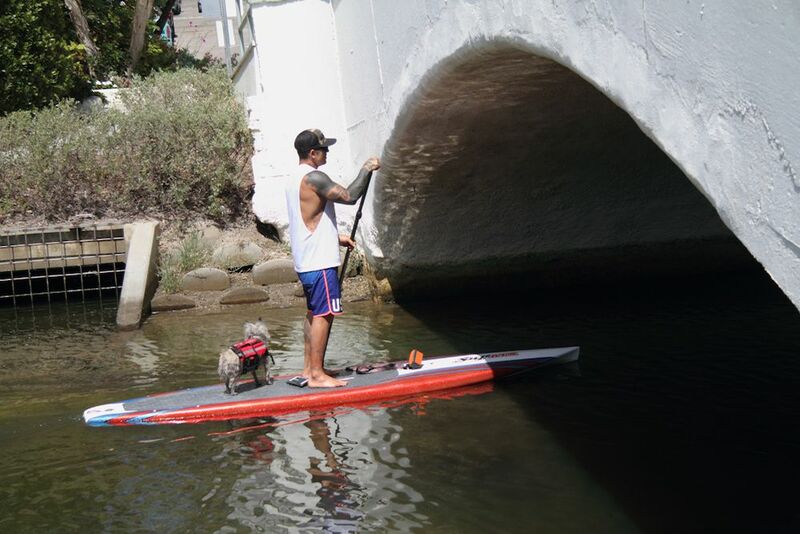 Paddle boarding with your best friend is good fun. 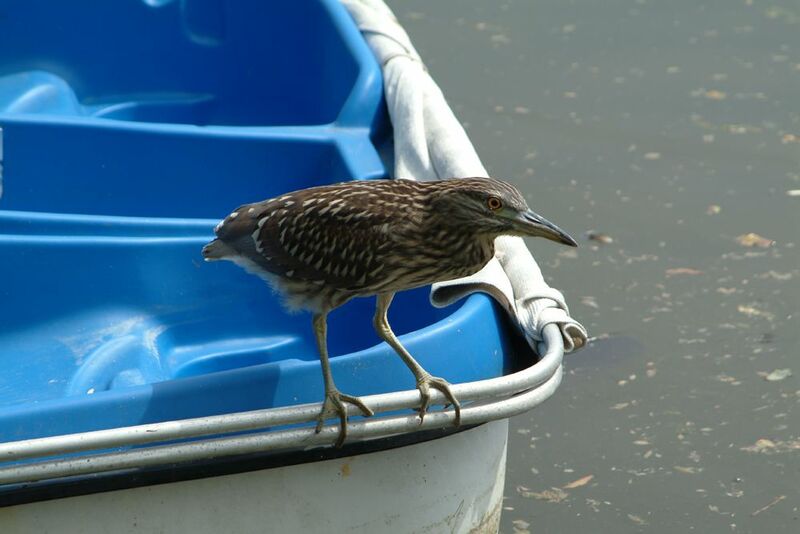 Many species of birds and ducks are canal neighbors. 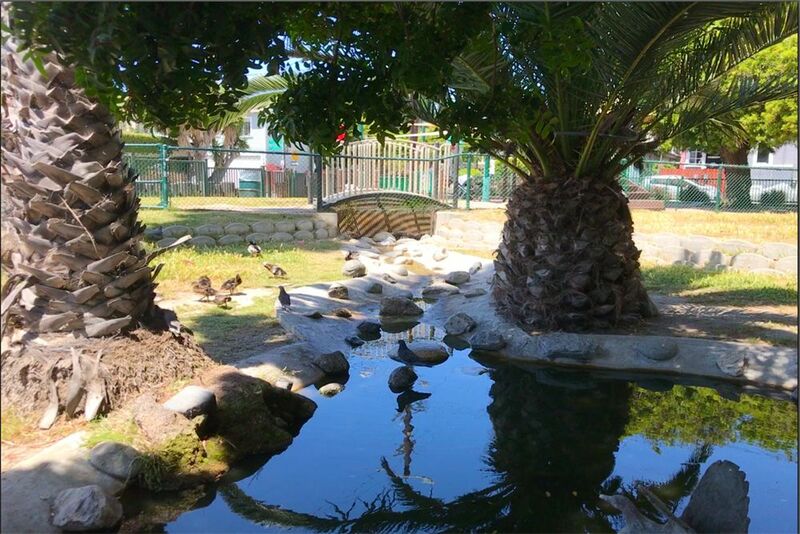 … and the kids love the duck pond. 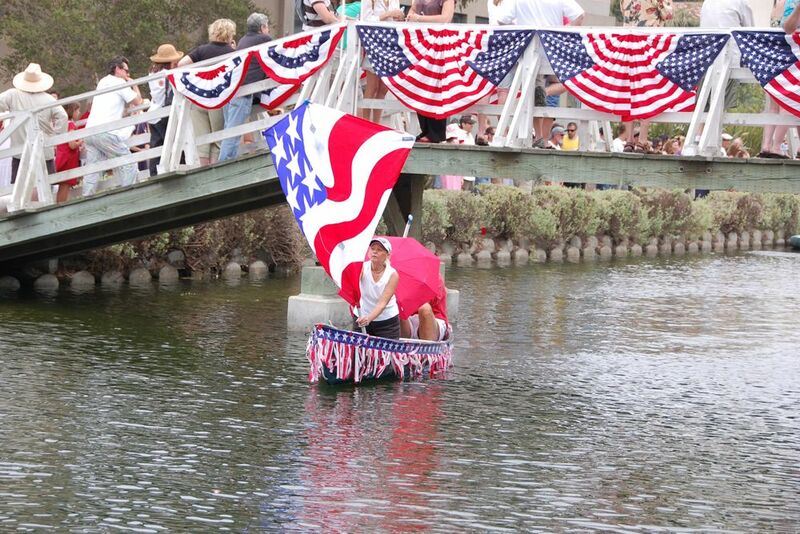 Annual 4th of July festivities are a summer highlight including the Linnie Canal Downwind Regatta (wind-powered boats) and a Rubber Ducky Race. 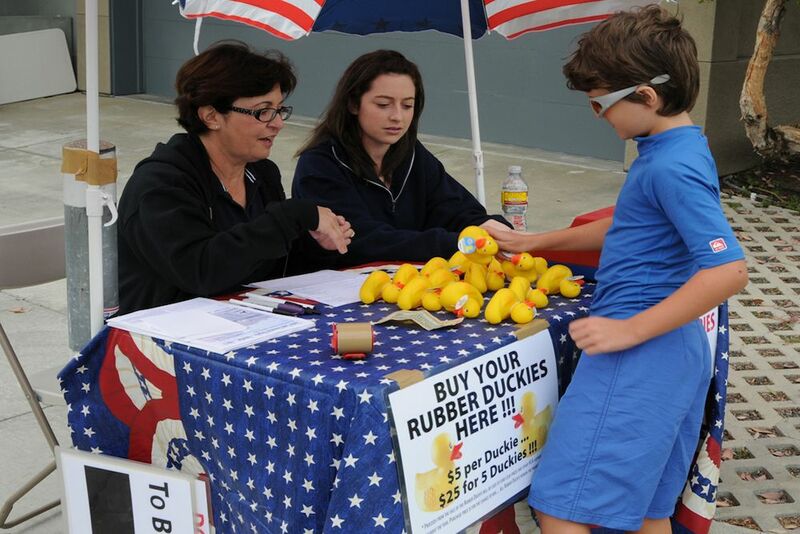 There are lots of prizes for the fastest boats and ducks to cross the finish line. 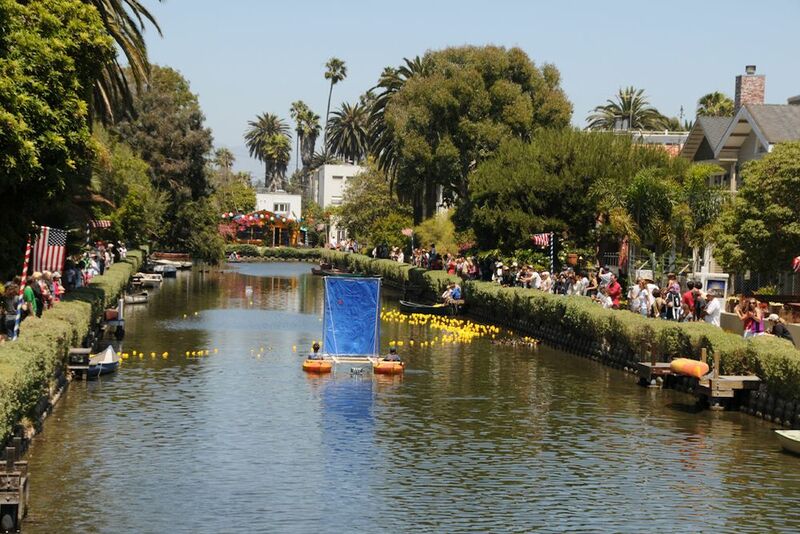 Hundreds of rubber ducks, purchase by residents, race amongst the boats. The start of the regatta shows many solutions for catching the wind. 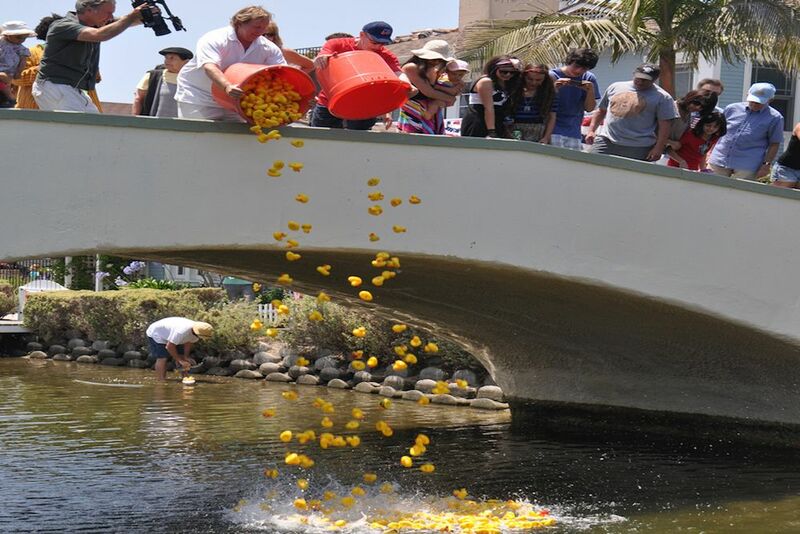 The ducks start their race with a splash. Crowds of cheering spectators line the canal banks. 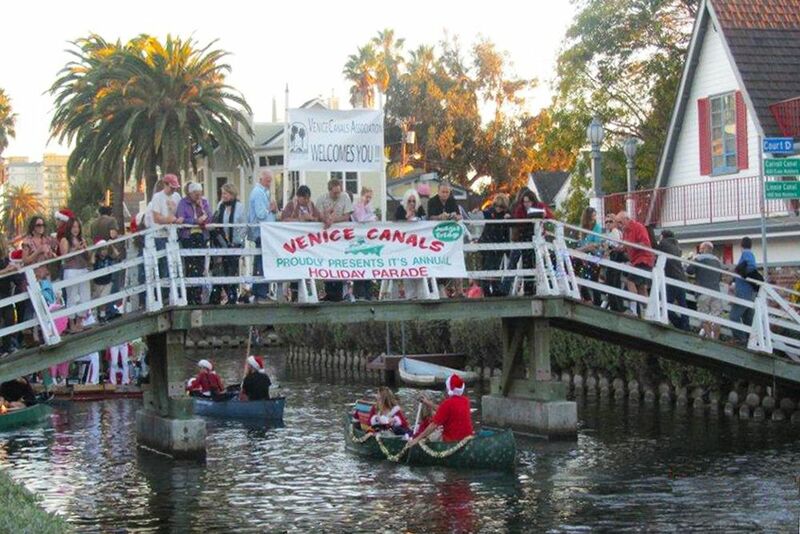 Another annual event is the Venice Canals Holiday Boat parade and Home & Bridge Decorating Contest. 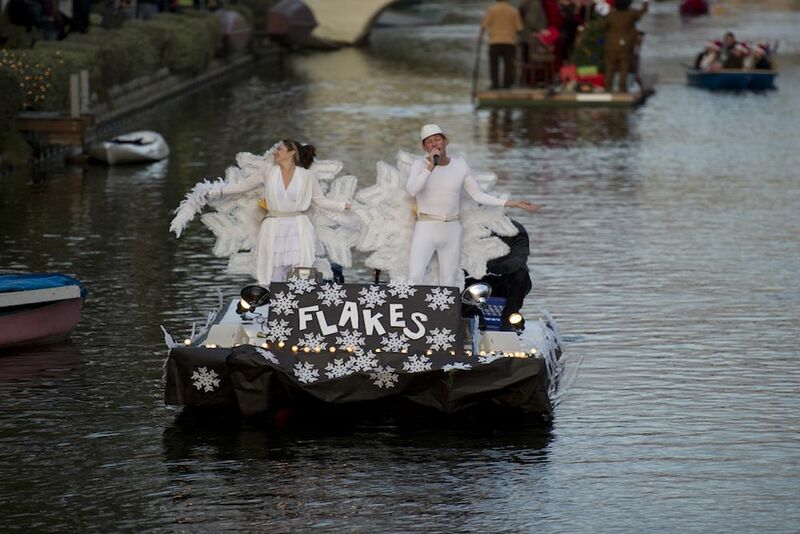 Local involvement is huge … the Canals become a festive community of lights. 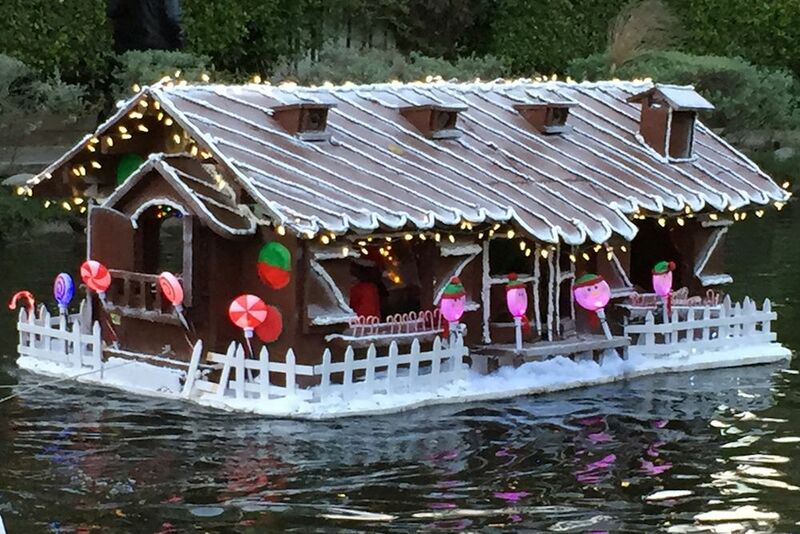 Parade floats are all handmade by local residents. Some floats even provide live entertainment. 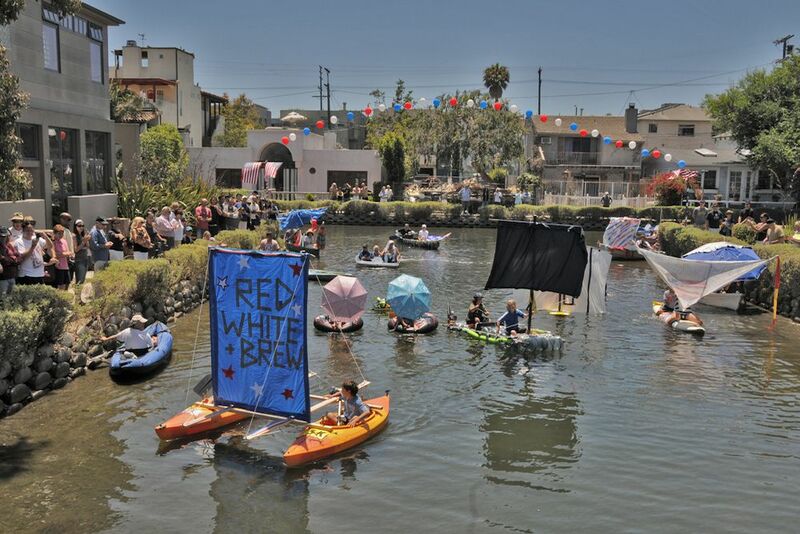 Koth kids and adult boats compete for prizes. 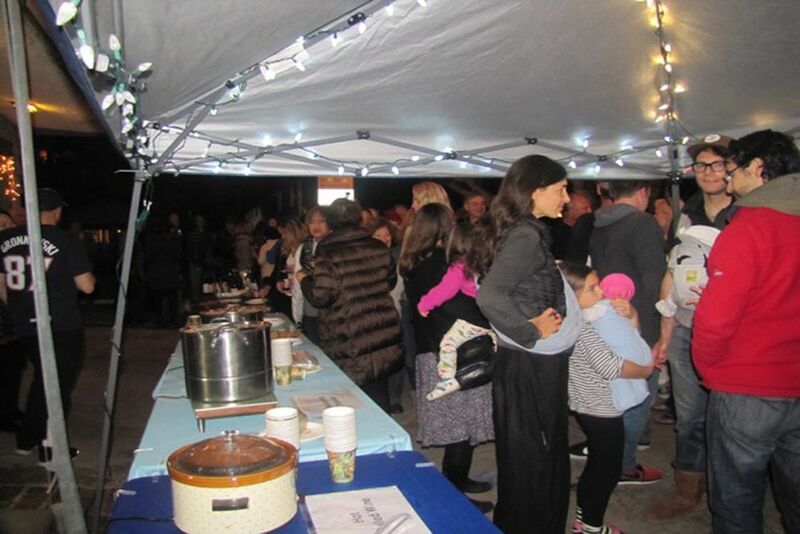 Neighbors decorate their closest bridge and compete for prizes. 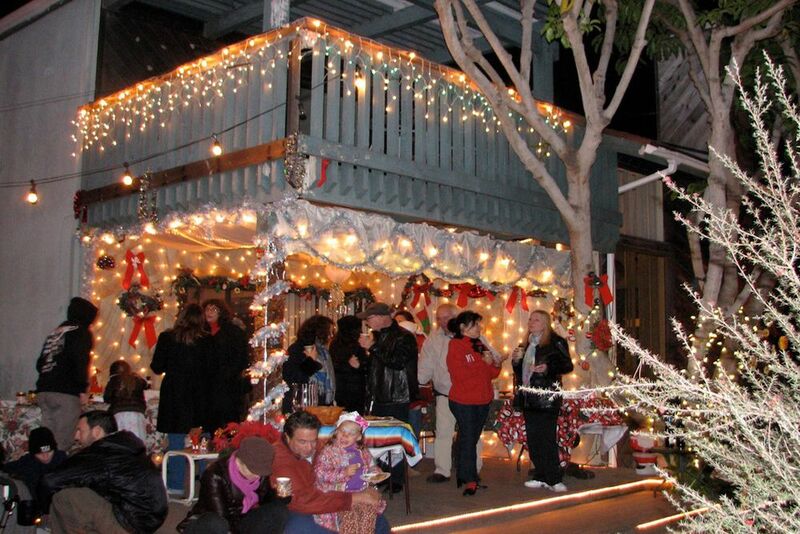 There are many holiday parties during the boat parade. 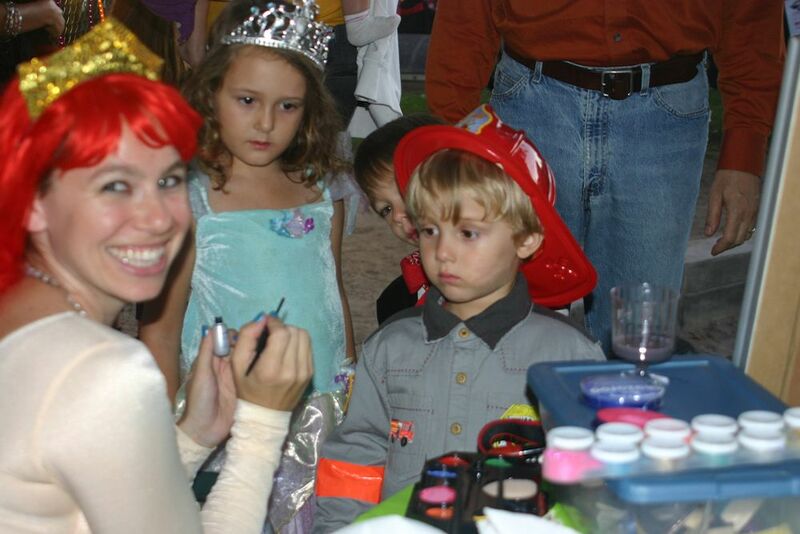 “Canaloween” is held each Halloween at the Linnie Canal Park for the local kids. 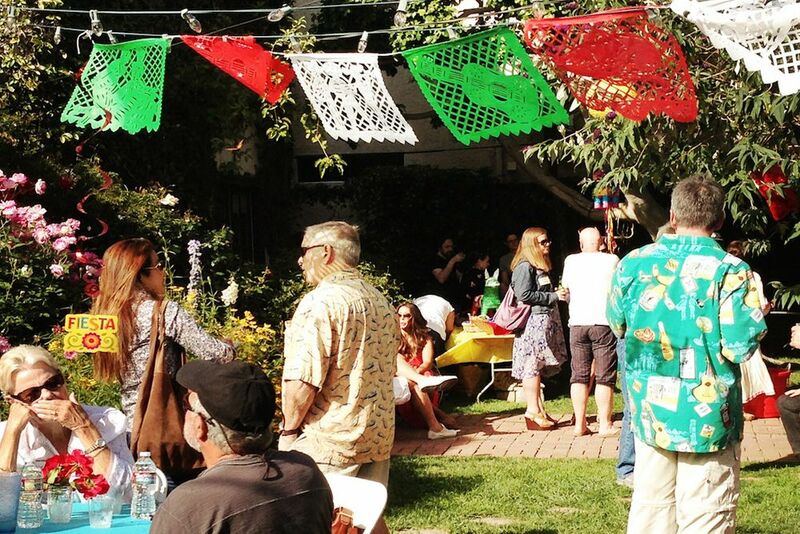 A festive Cinco de Mayo community party.